Dental student educational debt in the United States continues to grow as a concern for both dental educators and dental students. While certainly warranted, this concern needs to be understood from the perspective of return on investment. The student debt issue remains a critical one. However, this debt is essentially "good" debt when viewed as an investment made by associates/employees of general dental practices and general dental practice owners. 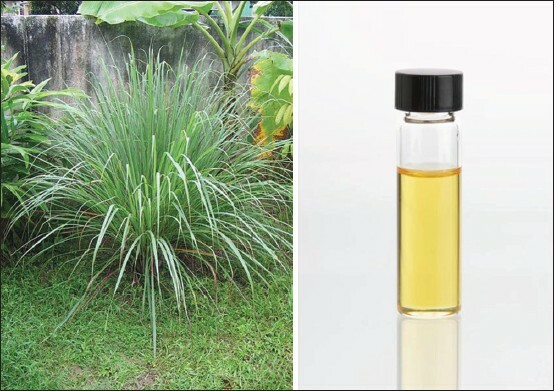 Lemon grass essential oil has been used for decades to treat respiratory infections, sinusitis, bladder infections, high cholesterol, digestive problem, varicose veins and also for regeneration of connective tissue. It has anti spasmodic, anti-pyretic, anti-fungal, anti-bacterial, anti-inflammatory, anti-septic, insect repellent, sedative, vasodilator and flavoring properties. In china, it has been used traditionally as a remedy for stomach and liver diseases and also to treat rheumatism. Since lemon grass oil possess various pharmacological actions, it is also quite useful in dentistry. Hence, the objective of this article is to highlight various uses of lemon grass oil in the dental field and in the medical field in order to aid the professionals for future research. 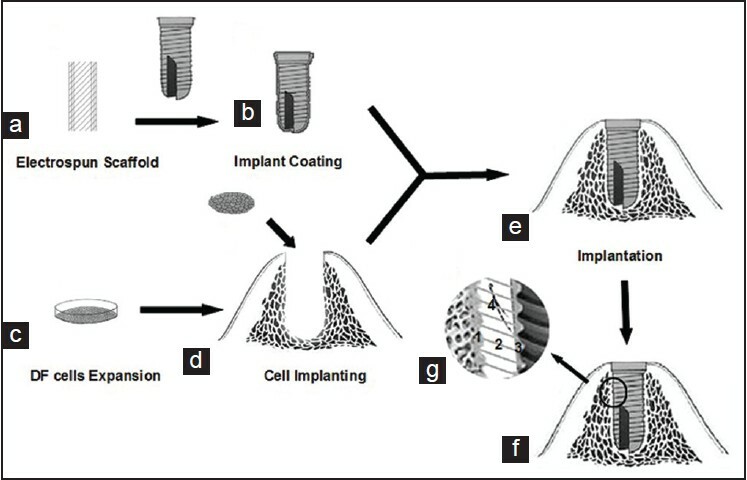 Introduction: Some inevitable problems, such as concentrated bite force and lacked ability of self-renewal, are proved to be the major challenge in the management of implants failures. Thus, it is meaningful to find an ideal dental implant harboring its own peri-implant periodontium, just as the natural teeth. Various studies attempted to reconstruct the periodontium around implants, but unfortunately, it was previously revealed that the artificial periodotium around implants was just a wilderness of fibers, while without the physiological function of natural periodontium, like sensory and homeostatic. The Hypothesis: In this paper, we propose a hypothesis that a modified three-dimensional scaffold with reconstructed peri-implant tissues can be a network for stem cells differentiation. After seeded on the scaffold, stem cells produce various growth factors and differentiate to different orientations in places necessary. This hypothesis, if proven to be valid, will offer a novel and effective therapy for the restoration of missing teeth by implant. Evaluation of the Hypothesis: The scaffold involves three different tissues. Though degradation rate of electrospinning scaffold is under control, its degradation rate should be in consistent with the generation of three tissues. Therefore, the relative experiments are necessary to define the best rate of degradation. Further verification is necessary to check whether the rebuilt cementum, bone and periodontium are strong enough to keep the implant stable and maintain its function. Introduction: Dental fluorosis exhibits as enamel mottling, surface irregularities, leading to plaque accumulation and periodontal diseases. It may cause failure of cemental resorption leading to hypercementosis and causes osteonecrosis of alveolar bone leading to reduced bone height. The study is conducted in Raichur, being known as one of the highest fluoride containing area in Karnataka with level of fluoride in drinking water approximately 3.5-5.5 ppm. This is an effort to find an association between dental fluorosis and periodontal diseases. Aims: The purpose of the study was to evaluate the effect of severity of dental fluorosis on the periodontal status in the patients assessed. Settings and Design: This cross-sectional, epidemiological survey was carried out at rural parts of Raichur. Materials and Methods: One hundred and eleven subjects with dental fluorosis were selected for the study with age range of 15-45 years. Assessment of dental fluorosis and periodontal status was done by Dean's Community Fluorosis Index (DCFI) and Ramfjord's Periodontal Index (RPI), respectively. Statistical Analysis Used: Analysis of variance (ANOVA) test, chi-square test, and Spearman's correlation coefficient. Results: A statistically significant relation was found between severity of dental fluorosis and severity of periodontal diseases (Spearman's correlation coefficient 0.88, significant). 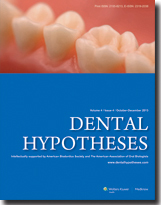 Discussion: Dental fluorosis may have significant effect on periodontal condition. But, further studies on the periodontal status of subjects from naturally high water fluoride regions from different parts of India are essential. Introduction : Keloids are frequent finding after physical trauma. 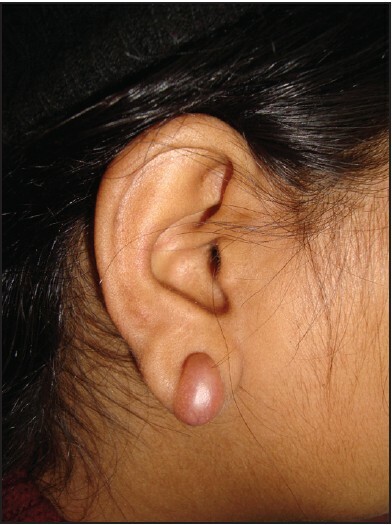 Keloids of ear lobe are common complication of ear piercing, although its incidence remains unknown. The use of intrakeloid resection and a form pressure device to treat pinna keloids. The recommendation of this therapy is to maintain constant pressure and duration of pressure therapy was about 25 weeks. Clinical innovation : This article will present inexpensive custom made pressure clips of various designs. The dimensions of polymethylmethacrylate (PMMA) plates in ear lobe clip presented by us though they esthetically not so good, but colored PMMA has been used to make it decorative and acceptable by most of the patients. This has been an encouraging experience to use the different designs. Discussion : Ear clip prosthesis has been developed for maintaining pressure on ear lobe keloids before and after surgical removal. The prosthesis includes an ear clip to which heat-polymerized acrylic resin is attached, which covers the keloid area. Pressure therapy is widely used to help in the early maturation of scar tissue and to prevent the recurrence of keloid. The preliminary report by Brent revealed that constant light pressure was an effective means of preventing post excision recurrence of ear lobe keloids using a decorative, spring-pressure earring. Immediate partial denture is a choice of treatment due to various cases of teeth extraction such as badly carious teeth, periodontal disease, eruption problems, trauma, and other reasons. Many choices are used to replace the lost teeth; one of these choices is a removable plastic denture in which hot cured acrylic resin should be used to fabricate such denture. 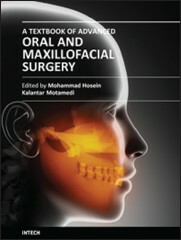 Aim of Study: To provide an applicable technique to fabricate an immediate partial denture by reducing and declining the prosthetic steps and some materials in proportional to the conventional method. Clinical Procedures: Maxillary and mandibular stone casts are mounted to a simple articulator and the procedures are explained as step by step to fabricate an immediate partial denture without using the conventional methods and material, just using a small quantity of white cold cure acrylic resin to fabricate the artificial teeth, hot cure acrylic resin for the denture base and mold made of a silicon impression material are used to fabricate an immediate partial denture. Conclusion: The finished immediate partial denture showed a good retention and produced the exact shapes and sizes of the extracted teeth with low cost and less time for a dentist and patient. Introduction: Currently, new esthetic treatments are available to the dentist due to the advent of ceramic-ceramic prostheses. A new option has become part of daily clinical practice, with the promise of esthetic optimization through the elimination of metal in prosthetic crowns. The translucence of these new systems allows the transmission of light through the tooth structure, minimizing gingival darkness and producing a vibrant and natural appearance. Case Report: The patient, 30 years old, female, showed with a fractured tooth crown at the cervical level in the right lateral incisive. 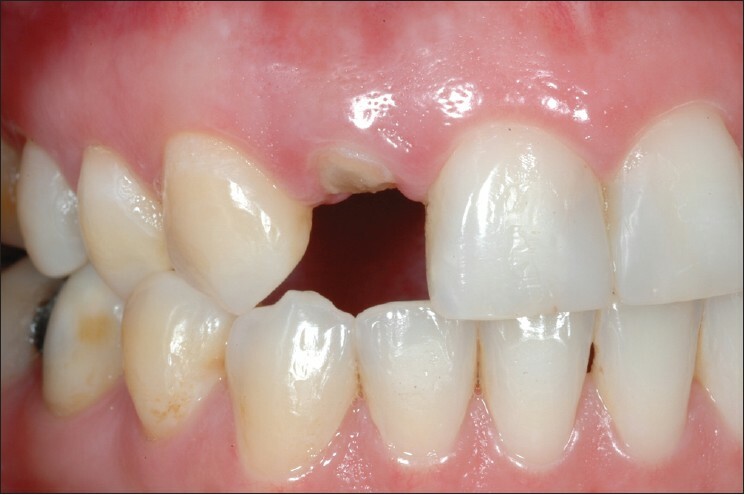 It was observed that the tooth had prior adequate endodontic treatment. A metal-free restorative system was selected. 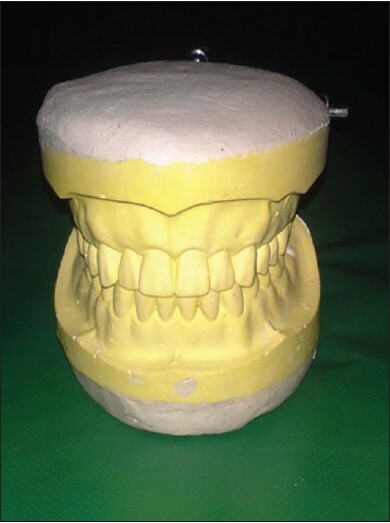 A plaster model was obtained for subsequent tooth preparative scanning and manufacture of ceramic framework. After receiving the framework, adjustments were made and the color choice of covering ceramic, following the protocol of choice for a chroma suboptimal aiming further characterization. After the ceramics application, adjustments in shape, texture, and occlusion were made. The crown was characterized by exterior paint, getting a favorable result, restoring esthetics and function. Discussion : The metal-free systems are a viable alternative to the restorative treatment when esthetics is desired, allowing a natural and harmonious smile, combined with the reliability of the restorative material. Introduction: Lipomas are rare in the oral cavity comprising less than 5% of benign neoplasms in head and neck region. Infiltrating lipomas are much less common than other variants. Case Report: We report a rare case of infiltrating/intra-muscular lipoma in the retro-molar region of a 28-year-old male. Discussion: To the best of our knowledge, this is the first case report from Libyan population and in the Middle East & North Africa region (MENA). Surgical excision is curative but, regular follow-up is needed to identify recurrences of this unusual variant.